The key to successful logo design is a delicate blend of uniqueness and simplicity. Some of you may already know that achieving this balance can be difficult. Nonetheless, “hard” doesn’t mean “impossible.” Designers all over the world are creating memorable, on-point emblems that find their way to the hearts of audiences. In this article, we’ll take a close look at logos with numbers. What makes number logos so effective? 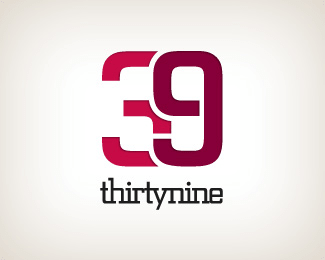 What’s the secret to creating a clever number logo? We’ll answer these questions, plus provide you with amazing examples of number logos that are considered the best in their category. It may sound surprising but the biggest advantage of number emblems is that they look fresh to the customer’s eye. Unlike letters and graphics, numbers are still a new solution in logo design. Therefore, a number logo is a great way to stand out among more conservative competitors. What number should you put on your logo? This is entirely up to you. You can use a number that has significance to your business or to you personally. For example, you can choose the year when your brand was established, the number of members on your team, your amount of starting capital, etc. It’s not uncommon for entrepreneurs to choose a number that is considered to bring luck and success in their region or country. Also, consider placing your lucky number on your emblem. When written in a certain way, some numbers start looking a lot like letters. Using this method, you can reflect the essence of your brand through a visually striking letter-number combination. This is a great way to craft an original design. At the same time, decoration must not come at the expense of legibility. When deciding between visual beauty and effective communication, always choose the latter. As you can see, number logos have huge potential, which makes them a popular choice among big-name companies worldwide. Can’t wait to capitalize on the possibilities of number logos? Logaster will be happy to help! On the Logaster website, you can create a one-of-a-kind emblem with numbers, symbols, letters, or graphic patterns! Choose whatever elements you like and embark on your own artistic adventure!